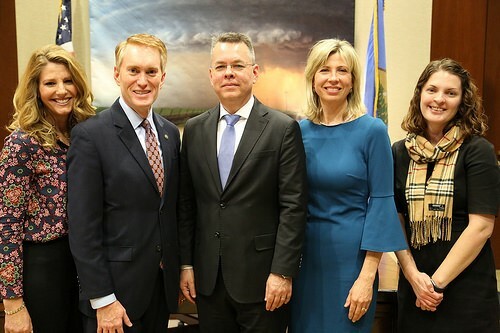 Senator James Lankford (R-OK) supports the Department of Health and Human Services (HHS) decision to provide South Carolina a waiver to continue to allow faith-based child welfare providers such as Miracle Hill Ministries to provide foster care and family services in accordance with their religious beliefs. “I am pleased to see HHS protect the religious beliefs of child welfare agencies across South Carolina today,” said Lankford. “The government should not tell American organizations that the same faith that drives them to help vulnerable children and families also disqualifies them from providing those services. HHS is upholding federal law by allowing faith-based agencies to maintain their religious identity as they continue to help children find families. GING-PAC endorsed Senator Marsha Blackburn’s (R-TN) first act in the Senate was to introduce S 105, the Title X Abortion Provider Prohibition Act. It would strip all abortion providers, including Planned Parenthood, of federal funding under Title X of the Public Health Service Act. Blackburn formerly served in the House, then won leftist Bob Corker’s seat in the Senate this past November. She will serve on the all-importantJudiciary Committee which will approves federal judges. She will be a force to be reckoned with by left wing Democrats and weak-willed Republicans. Sen. Blackburn recently invited the parents of a young Knoxville, Tennessee man who was killed by an illegal alien to President Trump’s State of The Union speech on February 5. She strongly supports Trump’s plans to build a border along our southern border to halt the invasion of illegals. GING-PAC backed Florida Congressman Bill Posey has written to leaders of the House Appropriations Committee requesting the Committee provide equitable treatment for contract employees in crafting appropriations bills to open government agencies. Unlike civil servants, government contractors have not traditionally received back-pay and benefits upon reopening of the federal government. 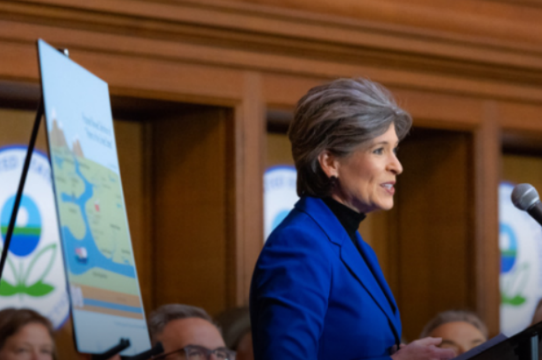 Iowa’s Senators Joni Ernst and Chuck Grassley joined colleagues on the Senate Judiciary Committee in reintroducing the Pain-Capable Unborn Child Protection Act. GING-PAC supported Ernst in the last election. The legislation would provide commonsense protections for unborn children at 20 weeks after fertilization, a point at which there is significant scientific evidence that abortion inflicts tremendous pain on the unborn. Ernst and Grassley joined colleagues in an effort to end taxpayer funding for abortions. “At five months, we know that babies can yawn, make faces, wiggle their ten fingers and ten toes and feel pain. Sadly, the United States is only one of a handful of countries around the world—including North Korea and China—where on-demand abortions after the five-month mark are legal. This isn’t right. I am committed to defending these innocent lives,” Ernst said. Congresswoman Vicky Hartzler (R-MO), chairwoman of the Values Action Team, introduced the Defund Planned Parenthood Act of 2019. The legislation would place a one-year moratorium on all federal funding for Planned Parenthood, which benefits from taxpayer money while performing (and profiting from) elective abortions. The legislation would further increase funding for community healthcare centers that focus on comprehensive care for women and their babies. Funds would once again be made available if the abortion giant and its affiliates focused on non-abortion health care services that are appropriate for taxpayers to support. 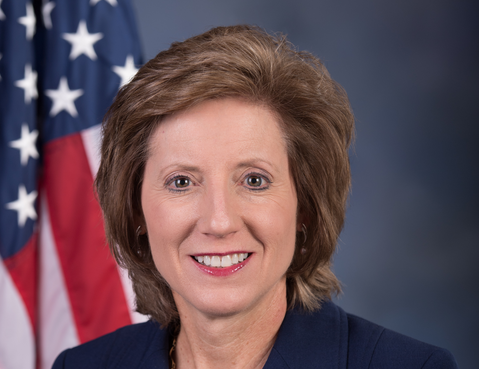 “Taxpayers should not have to pay for Planned Parenthood’s abortion industry,” said Congresswoman Vicky Hartzler, chair of the House Values Action Team (VAT). “Abortion is not healthcare; yet it is the foundation of Planned Parenthood’s mission. In its latest annual report, Planned Parenthood boasts of performing more than 321,000 abortions while receiving over half a billion dollars a year from the taxpayer,” said Hartzler. 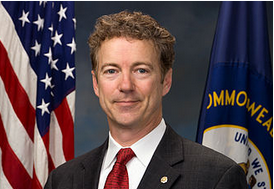 Earlier this month, GING-PAC friend Senator Rand Paul (R-KY), reintroduced his Federal Reserve Transparency Act (S. 148), widely known as the “Audit the Fed” bill, to prevent the Federal Reserve from concealing vital information about its operations from Congress. 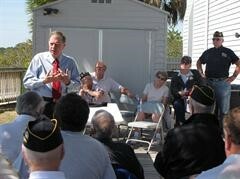 Seven co-sponsors joined Senator Paul on the legislation. “Audit the Fed” is a grassroots-driven movement that has rattled the establishment and proven time and again the difference concerned Americans can make against the odds. It’s time for Congress to respond by passing this bill to hold the secretive Federal Reserve, the enabler of Washington’s spending addiction, accountable to the people’s representatives,” said Sen. Paul. Congressman Thomas Massie (R-KY) has once again introduced the companion bill, H.R. 24, in the U.S. House. The Senate bill, S. 148 would require the nonpartisan, independent Government Accountability Office (GAO) to conduct a thorough audit of the Federal Reserve’s Board of Governors and reserve banks within one year of the bill’s passage, and to report back to Congress within 90 days of completing the audit. 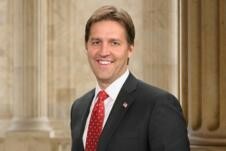 In mid-January, GING-PAC endorsed Nebraska Senator Ben Sasse won a resolution that unanimously affirmed the oath of office to the Constitution and reaffirmed the Constitutional clause that forbids using religion as a test for public office. The motion was prompted as a result of the anti-religious bigotry displayed by Sen. Mazie Hirono of Hawaii and Sen. Kamala Harris of California. In questioning judicial nominee Brian Buescher, the two Senators seemed to think Buescher’s membership in the Knights of Columbus, a Catholic fraternal organization, might disqualify him from being a federal district judge. Senator Hirono directly asked Buescher if he would recuse himself from any case on which the Knights of Columbus had ever taken a stand. This prompted Senator Sasse to introduce his Resolution, which reminds all those in Congress of the Constitution’s clearly stated protections against religious bigotry. According to Sasse: “If a Senator has a problem with this resolution, you’re probably in the wrong line of work.” The Resolution did pass unanimously. The legislation requires that, when an abortion results in the live birth of an infant, health care practitioners must exercise the same degree of professional skill and care to protect the newborn as would be offered to any other child born alive at the same gestational age. It also requires that the living child, after appropriate care has been given, be immediately transported and admitted to a hospital. Currently, federal law does not adequately protect a born child who survives an abortion. Democrat Senator Patty Murray blocked a vote on this legislation on February 4, 2019. 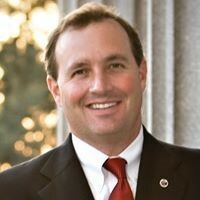 In mid-January, Congressman Jeff Duncan (R-SC) introduced the Ultrasound Informed Consent Act. The bill guarantees that women seeking an abortion will receive an ultrasound and have time to review the ultrasound before giving consent to killing their baby. Duncan is a principled social conservative and pro-lifer who has already sponsored the following bills in Congress: Defund Planned Parenthood Act, Sanctity of Human Life Act, Protecting the Dignity of Unborn Children Act, Life at Conception Act, and more. These social conservatives deserve our support in their re-election bids in 2020 and we should always remember them in our prayers. Donate to GING-PAC today to help re-elect them to their House and Senate seats – and help us elect more like them in 2020.